Very quick and so lovely, this crochet square looks good in any color combination and in a solid color too. With fewer colour changes you’ll be amazed by every version of this splendid square. 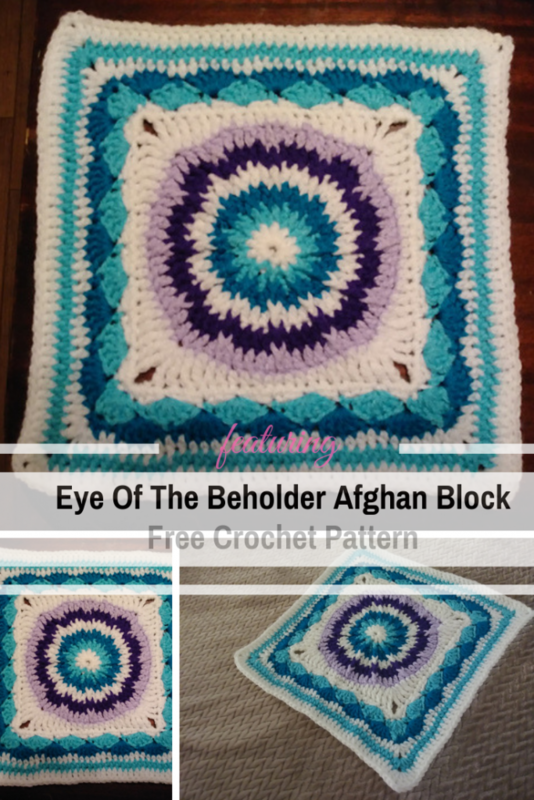 Eye Of The Beholder square free crochet pattern designed by Joanne Jones features lots of front post stitches. The colors and stitching are amazing! 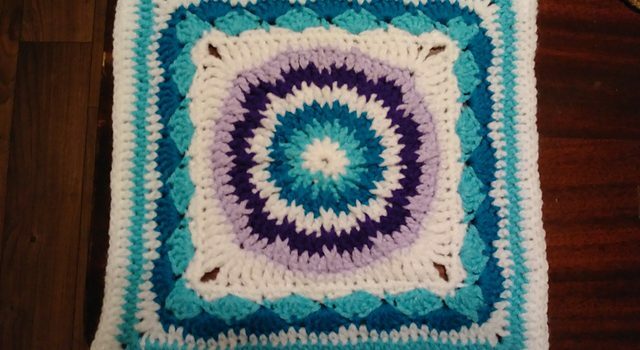 This crochet square is really lovely and the pattern works up fast too. Get the pattern: Eye Of The Beholder Crochet Square Free Pattern. Thanks to Joanne Jones for the article inspiration and featured image. [Free Pattern] Want Something Different? Check Out This Gorgeous Blanket! [Free Pattern] LOVE This Star Lily Crochet Hexagon Design! [Free Pattern] This Cute Hooded Cowl Will Get You Compliments Whenever You Wear It!